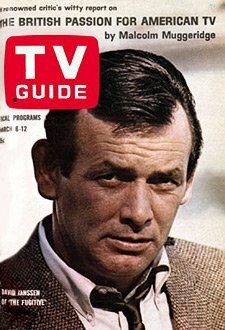 When I write about TV though, I mostly write about the old shows: The Mickey Mouse Club, Ed Sullivan, The Mod Squad. I’ve pretty much stayed away from today’s shows – mostly because I could never do them justice the way Speaker7 over at RamblingsandRumblings does. But I watched a show on Sunday Night that took my breath away. I am so inspired I want to change careers. I’ve found my calling (at sixty). I want to be an Adaptation Writer! In this exciting episode, two guys are skydiving. One guy’s parachute strings (I believe that is the technical term) start to disintegrate. He plummets to a horrific death. The whispering red-haired detective finds the other parachutist stuck in a tree.”Thank God,” says the guy, “My leg is starting to fall asleep.” I’m sure this is the normal response after watching your friend plummet horrifically. The whispering red-haired guy tells the tree-stuck guy that the police will leave him in the tree for a while, so they’ll know where he is. This is the humor element of the show. That’s pretty much the end of the whispering red-haired guy for this episode. This was a relief to my husband, who usually has to turn up the volume. Red-haired guy is usually the star, and he employs the acting technique known as “put your head down, peer intently from under your eyebrows, and use a quiet monotone.” This is otherwise known as the ‘David-Janssen-As-The-Fugitive’ method of acting. But Janssen’s dead now, and so it is nice that someone is carrying on his legacy. Back to the show. The lab team determines that the parachute strings were eaten by some kind of chemical. Also that the something-or-other was tampered with, and so the jumpers jumped out of the plane too low. I guess that guy in the tree was really lucky. Bug-Eyed lab-cop lady goes to see the wife. Wife (who has great hair, by the way) says that her husband was a sperm donor and one of his sperm results seemed kind of mad at him. And it turns out there is a website devoted to all the sperm offspring of the dead guy, of which there are 103. Dead Guy donated a lot of sperm when he was in college. He had a really nice car now, and so it must have paid well, even allowing for the money that he must have needed for wrist therapy. Back at the hangar, the pilot of the plane confesses that he changed the altitude thing. He doesn’t like to fly too high because it costs too much. He’s conscientious about energy-saving. And there’s no real harm in shoving the guys out a little sooner. But these jump-dudes were very excited and so they jumped out too soon, before he could descend to his sneaky low preference, which is why tree-guy was okay. He doesn’t explain why, if he doesn’t like to spend the money on altitude, he goes up high before he descends to the energy-saving altitude. There’s spit on the dead guys shirt. The lab-cops see this right away…”Doesn’t this look like spit to you?” they ask. This must belong to the murderer, because certainly the dead guy wouldn’t drool while plummeting. The spit belongs to an offspring. They know exactly which one because of the website. So they go to this teenager. But he was in school. So this certainly means that he has an identical twin. Mom says no – she only had one kid. But she didn’t shoot him out of her own womb; she used a surrogate because she was really busy. Two lab-cops (I don’t remember any of the names, but I am sure this is not the fault of this wonderful writer…I mean, these characters are memorable) go to visit the surrogate. She’s hanging laundry. The two lab-cops hear a sound from the other side of the yard. They pull out their guns. Let me repeat – they are talking to a lady hanging laundry and when they hear a sound, they pull their guns. This show is not only ecology-minded, but offers practical advice: Be careful around people who work in labs. They are trigger-happy. Well it turns out that the surrogate mother decided to keep one of the babies for herself. Since he was a spare. He’s very sick though. He has a disease and he needs a new liver. I think they called the disease Wilson’s disease, but I could be wrong. It could be Spalding’s disease. Or Top-Flite. This disease is hereditary. The other identical twin with identical DNA didn’t seem to inherit it though. Some of the other 103 sperm results are sick too. The sperm bank knew this, but they used the sperm anyway. Sperm is hard to get, I guess, and so they didn’t worry about hereditary fatal diseases. They still had a jug of the bad stuff on hand (preserved nicely for seventeen years), only someone just broke in and destroyed it. The culprit knew exactly which frozen jug to throw on the floor of the unlocked sperm room. One sick kid (dead actually) – The Dead Guy Sperm Website is a veritable fountain of sperm info – turns out to be the daughter of the pilot. So back to him. He had been under arrest for altimeter-tampering, but “he just made bail” the Southern-Drawl-Blonde lab-cop says. She was keeping track of him from her lab. But it doesn’t matter. He didn’t do it. The guys jumped too soon, remember? Southern-Drawl-Blonde spills some of that parachute-string-eating chemical on her arm and gets burned. “Quick, the hydrogen peroxide.” Her arm turns a funny color, and then they know. It had to be the wife. She was a science teacher. Her arm turns a funny color. She confesses. She was pissed that her husband had 103 kids. She wanted a kid, but he didn’t. And he was younger than her. “He would have had the energy to chase a kid,” she explains. I don’t have the energy for this one most of the time, far to convoluted. Though I usually love mysteries and cops and robbers and murders and all of the stuff that goes with it. My personal favorites are Cold Case and Criminal Minds. I loved the line about “wrist therapy”! I’ve never seen that show but it sounds like a winner! Not. LOVED this post. You are so the person I want to summarize shows or movies I have missed. Bet you are way more interesting that the actual show. I do like CSI most of the time but Horatio gets under my skin too often. He is so dry and drab….the southern miss irritates me too….. Brilliant! I laughed so hard. More! More! This post was waaaay better than any actual episode of CSI-(pick your place) I ever watched. This was the episode exactly – that’s how good it was! The best CSI ever! I think you should be a program reviewer rather than a screen writer. You make the lamest program seem funny. Lame? 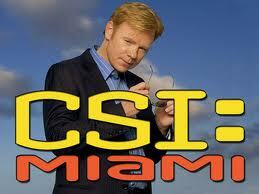 But that was CSI-Miami’s best episode! Thank you for the link and for giving me a reason to never watch CSI-Gantts Quarry. I would definitely read another one of your recaps because that was brilliant. I never watch any of those CSI shows. what are there, ten of them? Thanks for the chuckle! I think whispering red hair guy would make a great breakout star for the musical. I suspect in actuality that you were as underwhelmed as I. WAY underwhelmed. And of course you know that one of the episodes and/or writers of this stimulating TV series will win an Emmy or other sort of award for such wonderful writing. Yeah – you’re right. I want that job. To be patted on the back for banality is my goal in life! You got me at ‘wrist therepy’. Too, too FUNnnnny.